YSL is releasing its spring 2009 makeup collection on January 16th, 2009 in Japan. 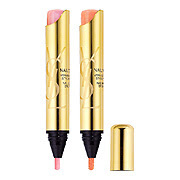 Most of the items in this collection are new shades of existing products. 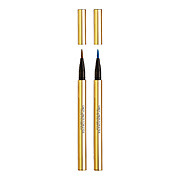 For the regular items, the colors remain understatedly sophisticated and refined. 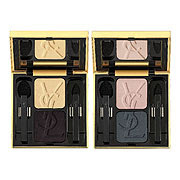 The star items, limited-edition Palette D’artiste Collector Powder For The Eyes and Palette D’artiste Collector Powder For The Complexion, feature an array of vibrant and bright shades. i always look up your blog for new collections. 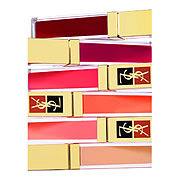 i think i am safe from YSL Spring collection but maybe just checking them out especially the golde glosses. yup the GG are probably the only ones from this collection grabbed my attention. the palettes aren't my cupt of tea. 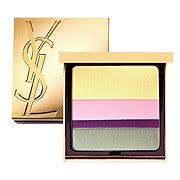 YSL palettes haven't been that interesting lately. 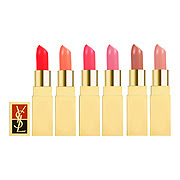 Nice spring collection from YSL. I especially love that blush. The limited-edition eyeshadow palette is less appealing to me as I can't really pull off bright, light eyeshadows. 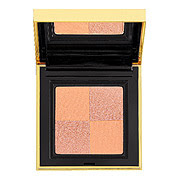 I am actually interested in checking out the blush palette, Palette D’artiste Collector Powder For The Complexion. I quite like the combination of pale pink, pink, orange and beige brown. I am actually intrigued by the blush palette, Palette D’artiste Collector Powder For The Complexion. 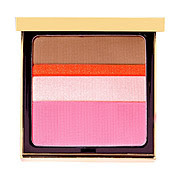 Is this the blush that has caught your attention? Or did you mean the Blush Variation?